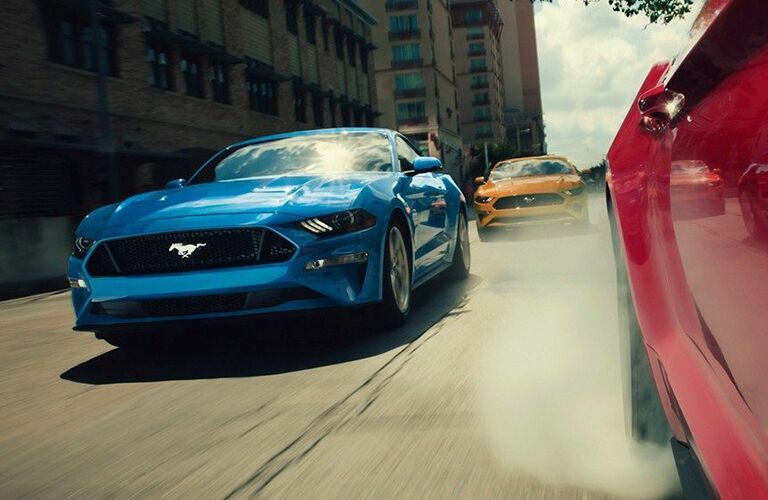 Adrenaline and athleticism have long been chief characteristics of the Ford performance family, thanks in no small part to the legendary performance and precision that only comes from a vehicle of the Mustang’s caliber. This iconic model is available in many different trim levels and with different top-tier features, but for the total package you’ll want to take a look at its GT Fastback line. The Ford Mustang GT Fastback is currently available at Sherwood Ford for the 2019 model year with everything you need to enjoy every ride! We invite you to join our sales team below as we show you all the best specs and innovation that the 2019 Ford Mustang GT has to offer – there's no doubt that you’ll end up wanting to take it home! The best parts of the 2019 Mustang GT all start under the hood, where you’ll find a 5.0-litre Ti-VCT V8 engine that can produce 460 horsepower and 420 pound-feet of torque. You’ll have a six-speed manual transmission to work with as well, featuring a short-throw shifter and rev matching technology to help you harness each ounce of strength that the Mustang can offer. 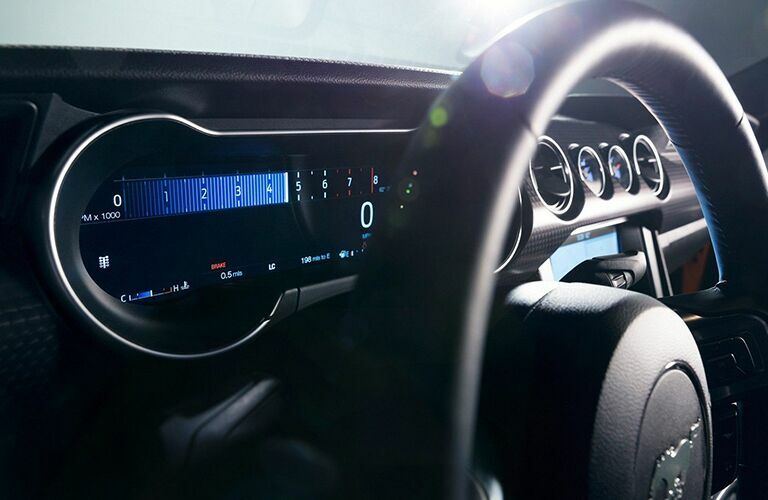 There’s nothing like the Mustang GT to give you top-of-the-line tech savviness, in order to keep you connected both to your life and your drive. It offers Track Apps™ provided within its instrument cluster, complete with launch control, accelerometer displays and electronic line-lock technology. All that’s left for you to do is play your favourite songs on its SYNC® 3 intotainment system and press the gas! With its mesh front grille, bold LED headlights and fastback, race-inspired frame, the 2019 Mustang GT is unapologetic in its striking outward appearance. 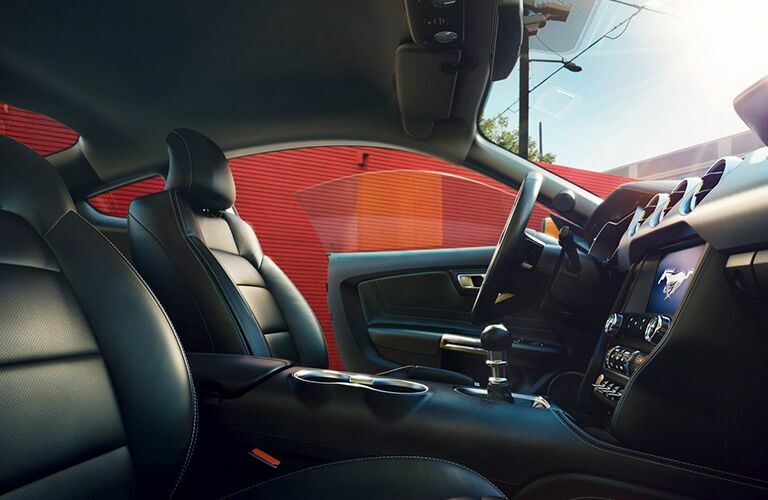 Inside, you’re free to relax on RECARO® race-inspired seats and tailor its Dual-Zone Automatic Climate Control to your liking, as you grip the Mustang’s leather-wrapped steering wheel as you head for your next adventure. 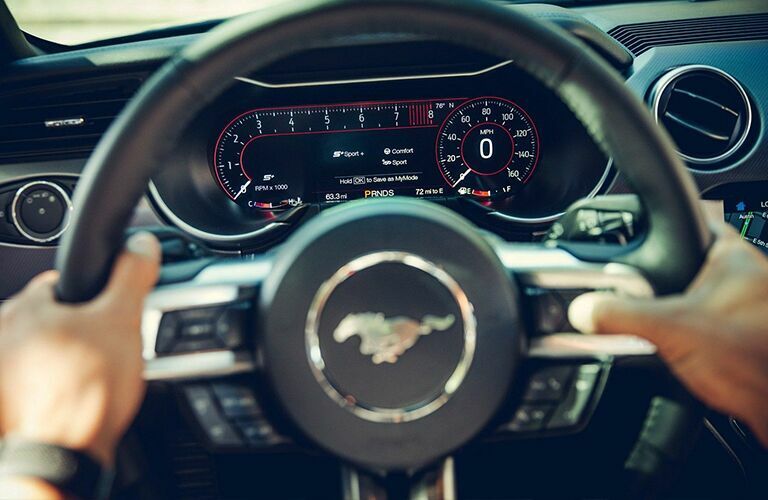 We’re here to help you out if you’re looking to unleash the Mustang’s adrenaline-infused breed of driving excellence for yourself – contact Sherwood Ford today and we’ll help you schedule a test drive!